Cover of The Paris Seamstress. Hi Natasha, and welcome to my blog, The Book Muse. Thank you for joining me here today. First of all, congratulations on the new novel, it was exceptional, and had everything a good novel should have to tell a very powerful story. Jessica reminded me of Estella – both are women of their time, yet still strive to achieve more than people expect of them. What is it that draws you to write characters like Jess and Estella? If women like Estella and Jess had never existed, then I wouldn’t have the opportunities that I have now, the opportunities that I have had over my lifetime. But there is still much that needs to change. 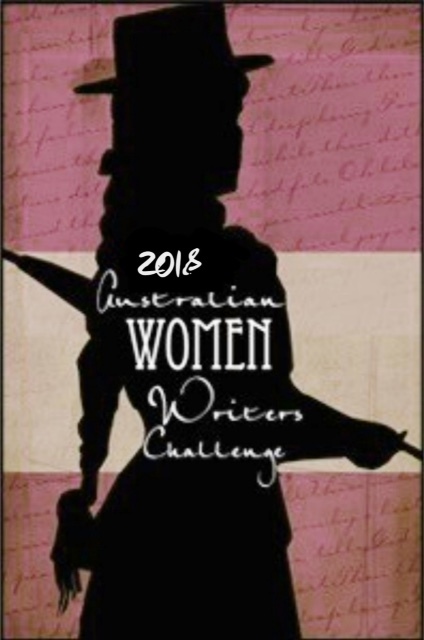 So I write these stories to honour the women who have come before me and who have made many aspects of my life possible, but also to show how far we still have to go in many other respects. Jess is based on a real-life journalist, Lee Miller. I’ve researched Lee, and she sounds fascinating. How did you stumble across her story, and what was it about her story that inspired Jess? I came across Lee Miller when I was writing The Paris Seamstress. She was mentioned in an article I was reading, specifically that, after writing about and photographing a war for years, she had turned to writing cooking articles and recipes once the war was over. I wondered how that might have felt and I was compelled to look further into her life. When I realised she began her career on the other side of the lens, as a model, I was fascinated by how the transition from model to war photojournalist had evolved. Then, when I discovered that, at her death, her son never knew of the incredible articles his mother had written during the war, never knew of the exceptional photos she had taken, I knew for sure that there was a story in there waiting to be written. Your characters reflect and explore the spectrum of humanity and human emotion. When writing, did you find doing this enriched the story, and how challenging (or not), did you find it to explore someone like Amelia or Warren Stone? Warren Stone was very challenging to write. But the more I read about the experience of the women war correspondents, the more I knew that men like Warren had existed. The difficulty was in not making him seem pure evil, in making us understand his motivations and in giving him humanity. There is one scene in the book that uses direct reportage from one of the female correspondents, Iris Carpenter, about a sexual assault that she stumbled upon. When I read her memoir and the words she wrote about that incident, I found it incredibly difficult to imagine how the man involved was anything less than a monster. But I had to imagine, in Warren, who is an accumulation of many men and many incidents, more than his despicable acts; I had to strip them away to find the person beneath and the reasons why he might behave in the way he does in the book. Fashion plays a large role in this novel. The beauty of fashion and photography bookends the reality of war, and the bland clothes Jess wears during the war. Where did your fascination with fashion start, and do you have a favourite designer you’re drawn to for inspiration in writing these stories? I’ve always loved clothes. My real interest began when I lived in London for two years and wonderful vintage stores like Steinberg and Tolkien were at my doorstep, and the V&A museum was there to be visited each weekend. One of my absolute favourite designers is Vionnet; she was a true artist. I am also currently obsessed with Christian Dior, as I am writing a book called The Dior Bequest. How do you think the war affected Jess and her interest in art, photography and fashion before, during and after the war? I think you could not photograph and write about the things Jess saw without being deeply affected by it, without needing to seek out the other things besides war that humankind can create; beautiful things like art and photography. I think she spent the rest of her life trying to strip away what she saw during war and attempting to replace those pictures, layer by layer, with things that inspired other emotions than sadness and other actions than violence. Looking at what we saw on the page, how much of your planning for plot, character and backstory never makes it into the final copy? So much! When I wrote the first draft, I had no idea how the book would end. I had no idea how Victorine would fit into the story, and that she would become such an important player. I had no real idea what D’Arcy would do once she arrived at the chateau in the contemporary storyline. Once I sketched all that out in the first draft, I went a bit overboard, as I always do, in the second draft, adding in lots of the research and deeply fleshing out scenes. So a lot of that has to be cut in the end as it slows the pace too much. The first and second parts of the historical storyline in particular were trimmed quite a lot. I adored Victorine, and I hope other readers do too. Her story was heartbreaking but revealed the reality of war and war orphans. When researching this, did you find experiences like Victorine’s were common, and what country had most of the stories you found from? Her experience was so common, especially in France where the exodus of people out of Paris and Northern France in late May and early June 1940 left so many lost and abandoned children who were never reunited with family. The Russians also experienced a huge and devastating number of war orphans, numbering in the millions. One of my favourite things about this novel was how you developed the relationship between Dan and Jess, starting with respect, which led to friendship and then love. To me, this was something that was extremely important to the story, because we rarely see friendships like this celebrated. When writing, what led you to write this relationship in this way, and did you find it effective to do so for the plot? This was always going to be a book about a friendship between a man and a woman, a strong and important friendship, that eventually turned to love. But that initial friendship, and their mutual respect, was to be the foundation for all of it, and without that, I don’t think their relationship would have been anywhere near as powerful as it is. I say in the back of the book that Jess and Dan were like gifts from the writing muse and they were; they came to me easily and quickly and their relationship almost developed by itself without me having to do more than type out the rush of words in my head. Warren Stone consistently tried to jeopardise Jess and embarrass Dan. Was this inspired by any truth, and did anything like this happen to your inspiration, Lee Miller? As I mentioned earlier, Warren Stone is an amalgamation of men and incidents. One of the books I read for my research was called Never a Shot in Anger;it was the memoirs of one of the Public Relations Officers during WWII who was responsible for dealing with the press. So much of what happens to Jess is recorded as fact in his book and the troubling part of it was that he wrote about those incidents with no understanding of how wrong it all was. To him, it was just the way life was at that time. It’s quite shocking to read. And there was so much more that I left out and didn’t have the space to include. This is the part of the book that worries me the most – that readers won’t believe these things could possibly have happened. But they did! Each part is told from a different point of view and in various times and years. I enjoy the dual time line set up, because I feel it makes the story richer. Do you find a format like this effective, and what makes you decide on the dual timeline set up? It makes it richer for me as a storyteller too, although it is so very challenging to pull off. So many character and points of view and story threads to juggle and eventually weave together. I decided on it for this book simply became I enjoyed writing that way for The Paris Seamstress. I like the way that it allows a mystery to unfold and for the reader to become involved in solving the mystery. Taking into consideration what has been discussed already, are there any sources for fashion, Lee Miller, war orphans and the war in general that you explored that might not have been mentioned yet? The main sources were the actual articles written by the female correspondents at the time. I read most of Martha Gellhorn’s pieces for Collier’s Weekly, Lee Miller’s pieces for Vogue, Iris Carpenter’s pieces for the Boston Globeand Margaret Bourke-White’s pieces for Life. In their articles, I heard their voices, saw what concerns they had, what they deemed worthy of attention, and how they wove a story together. It was extremely useful, especially when I compared their pieces to the articles written by the men at the time. One scene that was written effectively was the scene at the concentration camp. It was powerful and drove home the reality of war. Can you tell my readers more about where the inspiration for this scene came from, and why you decided to include it? That was a hard scene to write. But I knew from the outset that it would be in the book as all of the women talked about the effect that seeing the camps had on them. There were so many important points I wanted to make in that scene: about the fact that so many people thought rumours about the camps were untrue, that the camps could have been liberated earlier if more people had listened and acted, that civilians in towns with camps on their doorstep ignored the plumes smoke and the smell of death for years. That, of course, we must never allow such a thing to happen again. It’s the hinge moment of the book and, without that scene, so much of what follows would not have been brought to bear. 13. Apart from the scene in the book, what more can you tell us about the occupation of Hitler’s Munich residence, and how being there affected those who raided the home? It was fascinating to read Lee Miller’s piece about her stay in Hitler’s Munich apartment. I couldn’t believe how much souvenir raiding went on, how many soldiers took his cutlery and linen, and I wondered what it would feel like to be living in the apartment of such a man. Most who stayed there seemed to think it the ultimate sign of victory and took great heart from it; it allowed them to ridicule a man who, two years before, had been so feared that nobody would have ever thought to ridicule him. It made him a defeatable man rather than an immortal monster. Without giving too much away about the ending, can you tell us why you decided to write a realistic, bittersweet ending, and what this process was like after everything you set up for the characters? The ending was hard to write but I couldn’t see another way for the story to end that won’t seem too convenient and too unbelievable. War changes everything for the people involved and its bitter aftermath extends for decades; the pain doesn’t end just because the war itself is declared to be over. I wanted to be true to that in the ending of this book. Just that this is my favourite of all my books, the book of my heart, and I hope everyone loves reading it as much as I loved writing it. Thank you for joining me here today, Natasha, and congratulations again. Synopsis: Archibald is the naughtiest elf in the whole wide world, who loves nothing more than doing extremely mischievous things, all with very good intentions. Let him help you discover new worlds and ideas, as you follow him on one of his many exciting adventures. This time, Archibald is called to help the Easter Bunny prepare for Easter in Bland Land. The poor Easter Bunny is running behind schedule, and hasn’t finished making the eggs. So Archibald helps creating havoc at first. But will the havoc Archibald causes result in something good? It is always a delightful day when an Elephant Tree Publishing parcel arrives with a copy of a book I have published, and also, every now and then, a new Archibald story. This time, Archibald is taking on Easter with his good friend the Easter Bunny, to bring chocolate and fun to Bland Land where they all live. Archibald is naughty – but it is always with good intentions, and sometimes this gets him in trouble, but there are times when his naughtiness isn’t as bad as it might seem, like when he helps the Easter Bunny save Easter. For Archibald, working out when to be naughty isn’t as easy as it may seem, though he always knows when it needs to be done. One thing I love about this series is that each story builds on the others, and each time, something new is revealed about Archibald, and the characters he knows, and how he does what he does. Like any good series, these facts are revealed slowly and at the right time in the right story and fit in perfectly together. In this story, the Easter Bunny is not quite the perfect bunny we think he is, but flawed and anxious – and real. These stories are fun, and I like that their length is such that an early reader can read them alone, with someone or have it read to them, making it an experience that anyone can enjoy, regardless of their age. When Basil, the Easter Bunny. says he is behind schedule, it is Archibald who steps up to help him save Easter, using all his cheeky skills to enlist help from friends – a flying pig and Charlie the pixie, who will help Basil make this the best Easter ever. Before I give too much more away, I’ll start to wrap up and say this is a wonderful gift to get kids for Easter, and will be a story that will be loved for years and hopefully, read every Easter from now on in many households. I look forward to future adventures from Archibald and his friends.